The name kokonut soldier(...as exotic as it may sound) originated from a very dry topic. Let's just leave it sounding exotic for now. kokonut soldier - you have a blog! Time to add in those hot stories like the hustler. 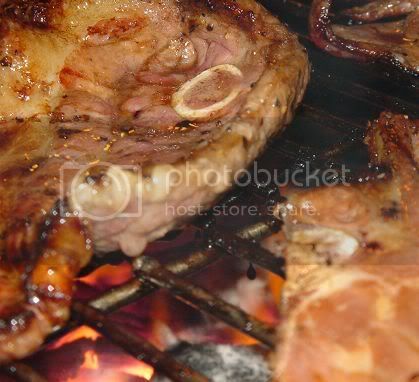 farmgirl - it was fun and don't you love the pix of the lamb chops grilling under that flickering fire.